Choosing a good domain name plays an important role in the success of your website and your overall branding and marketing strategy. How? Your domain name is your unique own identity where you will direct all your potential customers to. 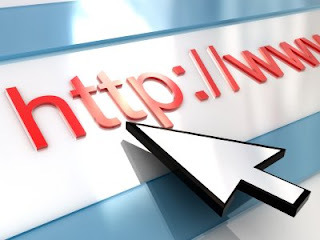 Most online users remember a website through its domain name. Domain name potentially reflects what your business is all about. Good, strategic name can contribute to your ranking in search engines. No doubt, registering your domain name is one of the first steps in building a website. But how do you go about selecting the best name to represent your company online? Read below the ten factors you should take into consideration before making up your final decision. 1.Thou shalt familiarize yourself with the technical rules first. Domain names can include any of the 26 letters of the standard alphabet. Capitalization does not matter. Domain names can include hyphens, but should not be put either at the beginning or end. Domains cannot have spaces or underscores. 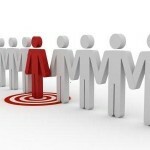 Make sure that your target market can easily identify what you are offering just by looking at your domain name. Your domain name doesn’t conjure up any negative connotations like offensive or derogatory words. Your domain name should appeal to the lifestyle, wants and preference of your prospective site visitors. Your domain name is easy to read, spell, type and remember. 3. Thou shalt integrate your company’s brand. You can use your company name as a domain name, or an abbreviation of it if the name is too long. Do not assume you customers will memorize your domain name so keep it short and simple. However , if the abbreviation doesn't sound right or is difficult to remember and type correctly, then opt to use the longer version. Also, if you intend to attract new customers with your website other than the existing ones, you have to analyze if a prospect who has no idea with your business be able to understand what you have to offer simply through your domain name. If your company name doesn’t reflect the nature of you business , a good descriptive domain name might be the better choice. Although a domain name is not the only determining factor in ensuring a good ranking position in search engine, it still can contribute and for a start-up business every little factor counts. If you do not have a large offline marketing budget and your advertising depends heavily on search engines, this might be the better route to take in selecting domain name. It helps with search engines like Google if your name contains keywords or those terms that people use to look for you products or services. If you are into selling books, it helps a lot to have the word books in your web address. For one, it gives users an idea of what your website is about. Also, the keywords will get highlighted in the search results making it more prominent and potentially increasing the chances of users clicking to your link. But the most notable benefit a keyword-rich domain name can give you is with building inbound links. Inbound links happen when an external or another website links to your website. This is important in improving your search engine ranking especially if a keyword is used when linking to you. If your domain name is already keyword-rich, you automatically get the benefit of an SEO friendly inbound link. Although it is beneficial to put keywords in your domain name, it defeats the purpose if you end up owning a hard to remember name. Sometimes, the best way is to choose a creative play of your brand name, something catchy yet simple to remember. This is most applicable if a great part of your marketing strategy involves offline marketing. If a name sticks in the mind of the people, it can greatly boost the chance that users will visit your site directly by typing your domain name on the address bar of a browser instead of going through the search engine. This can cut out possible competition. If your chosen domain name is no longer available or is already in used, depending on how committed you are to that particular name, there are things you can try to do. Try to buy over the domain name from the current owner. Research the owner and other pertinent information by using "whois" and contact the owner to see if the domain can be purchased. They might be willing to sell it for a higher charge than the normal price. If the domain name is not for sale, use other extensions also known as top level domain (TLD) like ".net" ".org" or country specific extensions like “.ph”. The problem with this is if you use a country specific domain, it gives off the impression that you only cater to that country. It can benefit local business catering to local market only, but might not be practical for companies with international market. Also, users are inclined to use the “.com” extension. If they go straight to a browser and type in your domain name in a .com rather than .net, they will land to your competitor’s website. If you still prefer to use your desired domain name even if you have to settle for other extensions, always refer to your site using your full domain name. Make sure that you stressed it enough so users will remember. Be direct in saying "it's not .com , it's .net"
Your domain name using other extensions like .com, .net, .org, .co etc. You can then 301 redirect this different versions of your domain name (except the offensive versions) to your main site so that even if users type in the wrong address, they will get redirected to your website. This is what Barnes and Nobles did. Type in either book.com or books.com in your browser and you will be redirected to www.barnesandnoble.com. Don’t assume that your chosen name is not already in used. There are hundreds of thousands of websites so chances are most of the good domain names are already taken. Before you make further development go to any domain registrar like Godaddy.com, Network Solutions or register.com, enter the domain and check its availability. Most registrars will even produce list of alternatives you can consider. Do not wait too long in deciding what domain name to use. Even if you have more than one options, it's better to register all of the than to wait for your final decision. Domain names aren't that expensive but once they are taken, they are taken. It could cost you more if you try to purchase the taken domain name, provided they will be on sale. If you end up with a number of web addresses you can either resell the others, create other pages for additional marketing platform or 301 redirect the other domains to your main site. Of course all of these will turn into nothing if you didn’t secure your domain name through registration. You can register for a year but if you can, reserve your domain for a couple of years. This will avoid any possible drop of your domain name in case you overlooked the expiration date and notices. The choice of names for your site is critical to your business. Although there are no hard and fast rules in selecting domain names, a well-thought-out name is an important step to a successful marketing campaign. They key is to weight the advantages and disadvantages of each guidelines and decide which will benefit you most. What is the reason behind you website’s domain name? Pinoylancers, founded in 2008, is a Philippine-based team of professionals specializing in different IT fields. Recognizing the fact that every client has unique and distinct business needs, Pinoylancers constantly strives to become a one-stop shop that will offer and develop personalized end-to-end web technologies and solutions. Do you have inquiries about our services or do you want to send us feedback?